You only have one chance to make your Frank Sinatra Tribute event perfect, so let's make it something no one will ever forget. Ol' Blue Eyes himself Frank Sinatra and The Rat Pack can perform a tribute show for you and make your day more special then you can imagine. You would imagine the cost of this tribute show to be out of most peoples reach but with Classic Sinatra the whole experience can be tailored to meet your specific requirements. If you think your event deserves an award winning singer! so do we! Ian has won many awards for his singing, including Male Vocalist Of The Year. Ian Gallagher will be on hand to help you with the planning of your event from start to finish. Nothing is too much trouble when Ian takes to the stage. 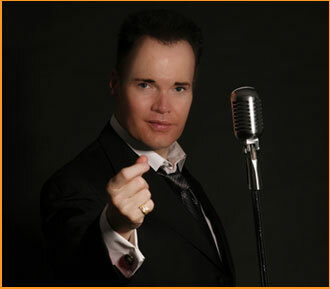 Leading Blue Chip organisations, top show business charity events, wedding co-ordinators and some of the biggest household names in British show business have trusted Ian to entertain them with his Frank Sinatra Tribute Act. "Just wanted to let you know how much my husband and I enjoyed Ian's DVD last night. Please tell Ian that not only is he a talented singer and wonderful entertainer but the quality I love the most is that he is living his dream and has followed his passion. It's no wonder that Ian is such a huge success". "It's like Ocean's 11 all over again whenever Ian's in town. No one sings a Frank Sinatra tribute like Ian. One thing's for sure you won't lose on this bet!". "You made my wedding day perfect! You have an amazing gift, incredible voice and what a fabulous performance. I was immensely overwhelmed, it was as though I was watching Frank Sinatra himself." "It was simply FANTASTIC. Not a day has gone past when I do not reflect on that evening, it truly was great performance. Ian you are a true professional, adaptable and can really entertain. You held people's attention, you got them dancing and singing and the feed back I have received from everybody was that you were truly excellent. 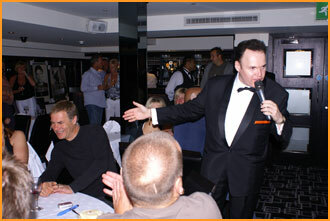 Your rendition of Sinatra's classic was immaculate, and made our event perfect, we couldn't have wished for any more. A Show Biz evening and a Sinatra tribute that I shall remember as a highlight of my life." "What a great Frank Sinatra Tribute this was. Everybody danced, everybody sang along, everybody was entertained. It was without question the best night's entertainment in the 43 years history of our golf club." "Thank you so much for doing a wonderful job at our wedding your singing was just sensational and really added some magic to our day. It was an absolute pleasure speaking with everyone at Classic Sinatra may we both wish you every success!!"